On the sidelines of the 73rd session of the UN General Assembly, David Hale, Under Secretary of State for Political Affairs, met with Horst Köhler in New York on Tuesday. The meeting between the two men was held behind closed doors, as indicated by the department of Mike Pompeo in a note to the press. This is the second meeting of its kind in a few weeks between the UN Secretary-General's personal envoy for Western Sahara and a senior official from the Trump administration. On August the 8th, only a few hours before Köhler's briefing at the Security Council, he met with John Bolton, the US National Security Adviser. On September the 17th in Washington, David Hale also received the Moroccan Minister of Foreign Affairs, Nasser Bourita. At the beginning of the Trump presidency on the 20th of January 2017, observers were convinced that the White House was not interested in the Western Sahara dispute. The appointment of John Bolton in March 2018 may have helped to change the game. Abdelkader Messahel, who leads the Algerian delegation to New York, will probably address in the coming days the issue of Western Sahara with members of the Trump administration. 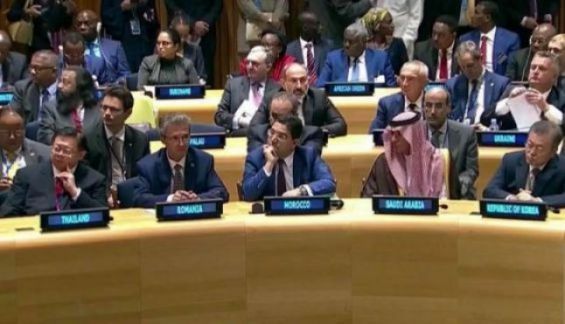 The heads of Moroccan and Algerian diplomatic missions were among the participants who took part in the high-level meeting on Monday, September 24th in New York, dedicated to the fight against drug trafficking organized by the United States and chaired by Donald Trump.